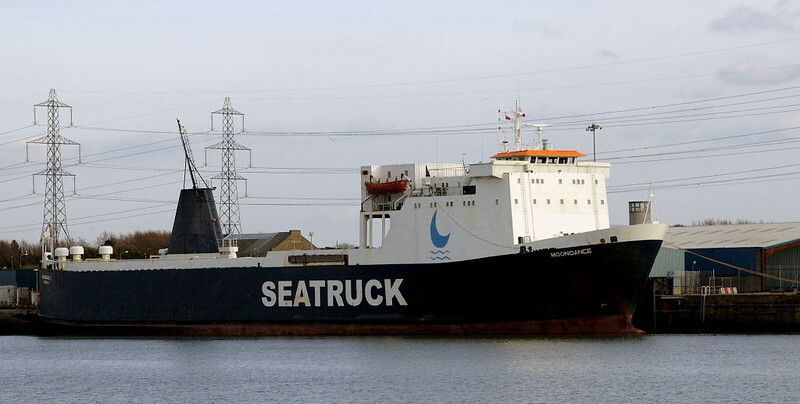 24 photos of Riverdance, a truck ferry operating between Heysham and Ireland. It foundered off Clevelys, just north of Blackpool. Salvage was impossible, so the ship had to be broken up where she lay. Moondance, Heysham, 19 February 2006 I do not have a photo of Riverdance before its loss, but here is one of its sister ship. Both were built in Germany in the late 1970s, and carried lorries and trailers between Heysham and Warrenpoint.